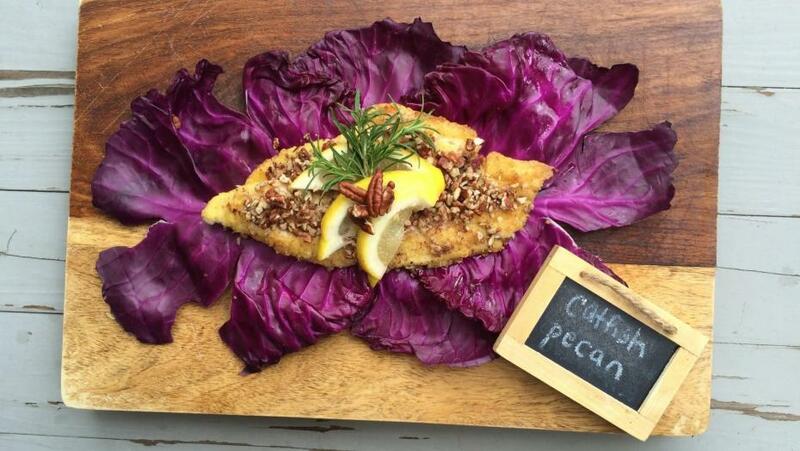 This pecan-crusted catfish recipe is a perfect Lenten meal that can be enjoyed throughout the year! In a food processor add brown rice flour, salt, pepper, and pecans. Process until finely ground. Transfer the flour mixture to a large bowl. In another mixing bowl, whisk together egg and milk. Dip the fish filets in the egg mixture first, then the flour mixture. Add pecan oil to a large sauté pan. Place the catfish filets in a pan and cook for 2- 2 1/2 minutes on each side until golden brown. Remove filets from a pan and place on a baking rack while other filets cook. Top with any remaining chopped pecans.